Being in Albanian market for over 20 years with all applications of the engineering surveying services, having a distinguished experience in both geodesy and surveying, this division of services still remain our core business! The long experience in cadastral works through surveying and GIS applications, created the start point on developing the GIS know-how and applications, not only on Open Sources softwares but also the solutions and applications of the Hexagon Geospatial. Being part of the deep and thoroughtful transformations due to Inspire Directive - that's is one of the most challenges fields of our efforts! New mentality, new know-how and higher level of professionalism. Our objective is to give the access and possibility to young people being ready for the challenges of the new market. We're willing to give to them the best standards of the work, the best methodologies and the best know-how on technologies used in our field! Hexagon Geospatial helps you understand the dynamically changing world. Hexagon Geospatial provides software products and platforms to a large variety of customers through direct sales,channel partners, and Hexagon businesses. European Space Imaging, (EUSI) is a leading supplier of global very high-resolution (VHR) satellite imagery and derived services to customers in Europe, North Africa and CIS countries. Planet is focused on providing end to end solutions for the geospatial value chain. 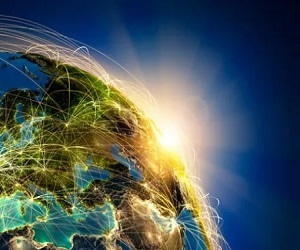 This includes satellite operations, groundstation services, data centre and geocloud solutions, worldwide distribution through over 100 Planet partners, and the creation of value added products and services. 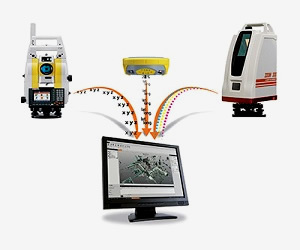 MicroSurvey Software Inc. develops, manufactures and markets a family of specialized computer software for Land Surveyors, Civil Engineers, Seismic Surveyors, Mapping Professionals, Police officers, and Accident Reconstruction Specialists. Rheticus® is an automatic cloud-based geo-information service platform, designed to provide fresh and accurate data and information on our changing world.